All fees shown in Rupees/US Dollars inclusive of all taxes. 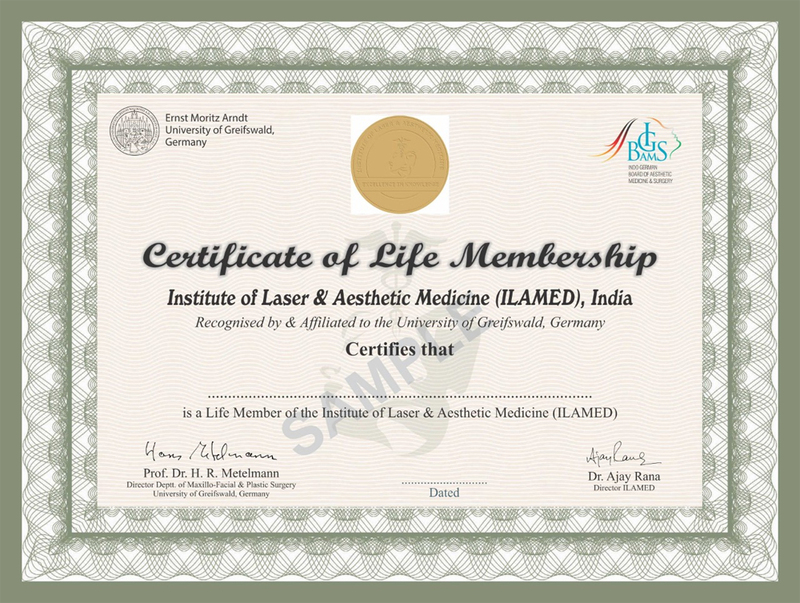 Sponsorship MembersIndustry and/or individuals who choose to become a sponsorship member of the ILAMED play an important role in allowing ILAMED to provide regular printed material and keep ILAMED members connected with information from the global Aesthetic Medicine community.Sponsorship members are recognized for their valued contribution at ILAMED congresses and meetings, receive recognition in printed material and on the website and are entitled to discounted rates in the exhibition section of each meeting. Membership application fees cover your membership on a 12-month basis and will expire on the same month of the following year.